Mesh Wi-Fi - What's the best for me and for 2019? 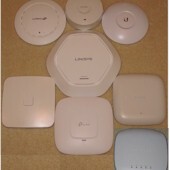 Discussion in 'Wireless Buying Advice' started by daveynet, Feb 11, 2019. I just cancelled my order for Google WiFi and have decided to get what SNB recommends as the best for 2019. Is the AC3000 Orbi still the way to go? I'm happy to pay premium prices for the right product so that it will last me for as long as it can. I don't mind a bit of tech-tinkering, but I do want something more on the "it just works" side of things, which is why I am leaning towards a mesh setup. I notice that most of the DWS reviews are quite old, and so is the buying guide, so I just wanted to see if there is a consensus on what SNB recommends is the go-to for someone wanting the best mesh performance - or am I completely off-track and a single device would suit me better? I'm happy to wait a few months if there's something coming that will be the new "best" - but I also would like to replace what I have now ASAP. I live in a sharehouse with 6 others. Three of us game online (Nintendo and XBOX - with the occasional PS4), and everyone streams YouTube, Netflix and Music. I am also about to start working and studying from home and I want to make sure I have stable and decent connection. It is a two-story house that is quite old (so I don't want to powerline, and I'd rather mesh over powerline anyway). The lease is up soon and we will be moving, so it is possible I'll end up in a smaller house with less people, but I'm keen to be "the Wi-Fi guy" in any sharehouse situation and set it up. I'm also saving up for a NAS (the Synology DS218play) and will use that for Time Machine, photos and digital files, media server, and cloud backup). I currently have an Asus RT-AC87U (running Merlin) and it just is not cutting it. It does reach the whole house (2 story 6 bedroom), but even in the same room as the Asus, the internet connectivity drops out all the time. I'm sure some of it has to do with my connection to the house (Australian NBN FttP 30mb/s), but I know that the Asus just isn't performing well either - I think it is on its last legs and needs to be replaced. My main issue is that while browsing the internet on any device, things just seem to halt. WiFi stays connected, and the Asus says it still has internet, but it shows almost 0 transfer for WAN and for WiFi to any clients, and web browsers will just stay spinning for ages until it times out. After a moment the issue disappears, or if you disconnect and reconnect to WiFi things come back. Gaming performance (mostly Nintendo Switch) is also leaving lots to be desired. I would raise complaints with my ISP about speed, but I've had issues with this Asus at the last few houses and when replaced with the terrible router that an ISP provides, the internet performance improves, so I want to have good hardware first so I can be sure I'm raising legitimate complaints. Wired Access Points are best, but Mesh will work otherwise. I personally like the Orbi because of its dedicated channel for backhaul and it allows for local administration without the cloud. The AC3000 also allows for Ethernet backhaul in essence the same as having wired access points. I’m just worried because the Orbi reviews and rankings are from 2016 and 2017. Is it still the go-to system, or is there something that is the new #1, or will become the new #1 early in 2019? Well that's gotta make you a bit grumpy and you certainly do make a case for it being a flaky 87U. How are things when you plug directly into an Asus Ethernet port? Good? Then maybe the problem is just WiFi? Many report one crappy device will bring Airtime Fairness to its knees. Try turning airtime fairness off. Are you having trouble with both bands or just one? Bad? Then maybe the problem is with your ISP? I assume your ISP has an Ethernet port that connects to your Asus router? Plug a PC directly into your ISP's Ethernet port. How's the performance? Bad? Time to talk with your ISP. Good? Starting to look like the Asus. 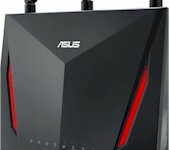 You talk about mesh yet you say the Asus 87U covers the whole house. 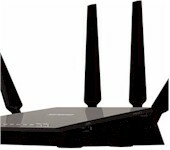 If your "crappy" router covers the whole house then a new improved router should cover the whole house. Worse case you add a range extender / access point later. I would LOVE something that will just work out-of-the-box, with the option to do some tinkering if I feel like. No power-line or extenders or multiple SSIDs. Recent technology that won't need to be replaced for at least 5 years. Top of the line performance, while still staying in the "home" market (or maybe prosumer). Politely asking it for better performance. When I moved in, the household was on a cheap and nasty mesh system - I forget which one, but it was about $80AU ($56USD) for a set of 3 I "upgraded" the household to my Asus, but whether or not it actually has improved things is debatable - when it works well, you get faster connection, but it is very intermittent. The problem might be my ISP, but I've had poor performance with this specific Asus in other houses too, and performance has shown improvements when using other devices (including whatever the ISP sends). I'm more than happy to raise a complaint with my ISP, but I won't do so until I'm 100% certain the problem is with them, and I have this well documented over a period of a few weeks. I guess I got swept up with the whole "mesh" thing - this started when a friend recommend AmpliFi, and I was keen to buy one then and there but their Gamer Edition isn't available in Australia and their customer service wasn't too accommodating, so I'm happy to stick with brands that support Aussies. Looking at the (non-mesh) Router Ranker for AC Class, even the reviews for the top ones seem to be 2017. The WiFi definitely drops a few bars when upstairs, and the internet issues happen more frequently upstairs. I really don't want to get in to extenders, so I guess that's why I went Mesh. Realistically I will probably be moving in 3ish months to a smaller house, but I don't mind having a massive mesh network, and ideally would have good WiFi access say in the backyard or out on the street. 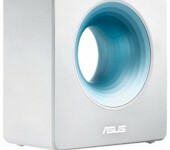 *Edit 2: The more I think about it, and the more research I do, the more I'm leaning towards buying the Orbi AC3000... I don't think it's a mistake at all, and it is reasonably priced with some sales on now. TLDR: Yes, Orbi is still best in class for Wi-Fi mesh systems. We generally don’t re-review products. So the dates you see are usually around the time the products are released, which is the case for Orbi. Virtually all current “mesh” designs are based on the same Qualcomm chipset and “mesh” technology. 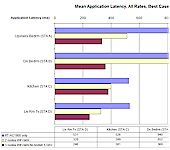 The main Wi-Fi performance difference boils down to what is being used for backhaul (connection between mesh nodes). Orbi is best in class because it uses a separate four stream 5 GHz backhaul radio. This provides the best chance of getting high bandwidth to each mesh node. And since a mesh node can only pass on to client devices as much bandwidth as it receives, this is what you want. This year will see mesh systems based on WiFi6 (draft 802.11ax) appear, with the first likely to be the Arris system announced at CES. These will be more expensive than current mesh systems and unlikely to outperform the current crop of systems, initially. The kinks still need to be worked out from the key OFDMA technology and WiFi6 client devices are required to get the maximum benefit. daveynet, Klueless, L&LD and 1 other person like this. How can I support SNB? Buying from US Amazon is out of the question. Your articles and reviews have taught me so much, and I’m about to buy my first NAS (the QNAP TS231p) and a few days ago I was in so much stress that I’d waste my money on things I wouldn’t be happy with, and now I’m 100% certain I’m buying devices that will meet my requirements and make me happy with my purchase! Oh yes! Setting my new toys up will be fun! And cheers for the full reply thiggins - not just the TLDR. I look forward to coming back to SNB in 3-5 years when I buy a new NAS and Wi-Fi system! Thank me when you install Orbi and are happy with it. I think you will be, but it's possible the "solution" may not solve your all-WiFi-pauses problem. I appreciate the thought for supporting SNB. But don't worry about it. Make a donation to a local charity instead. There are others - Eero (now Amazon perhaps) and Plume are the most interesting. Yep - at a low level, most are built on Qualcomm-Atheros SON technology - difference really is the user facing side. QCA has been on a heck of a roll through 2018 - not just with mesh, but they're probably best of class regarding the 802.11ac Wave 2 features in general. For 11ax/WiFi6 - I personally would wait until late 2019/early 2020 to even consider equipment there - first gen silicon is shipping, but things are still in flux, and most consumer devices will still be 11n/11ac. Hydro and daveynet like this. I’ll update this thread after a few days of installing my Orbi! One thing that surprised me about the Orbi, is that it lacks local DNS resolution. Most other routers I've had automatically associated a device's hostname with it's DHCP address. There is a hacky way of implementing it according to a post on the Netgear fourms, but it gets reset after a reboot. Your air space wireless is a shared media. Your best bet is to move over to wire as much as possible. If you are exceeding internet bandwidth buy more bandwidth.